Despite what common sense tells us failure should not be avoided at all costs. Failure should be embraced. Not for failure’s sake, but for the sake of becoming better thinkers, innovators and business leaders. Here’s an interesting experiment. Hand a group of adults paper and a pencils. Ask them to draw portraits of each other. Now ask them to show each other their drawings. What will happen nine out of ten times? Some laughing. A few jokes are shared. And most people will apologize to each other for their poor drawing. Repeat the same exercise with a group of kids and you will witness something quite different. Kids will be happily sharing and showing off their great works of art. There a lot we can learn from kids. 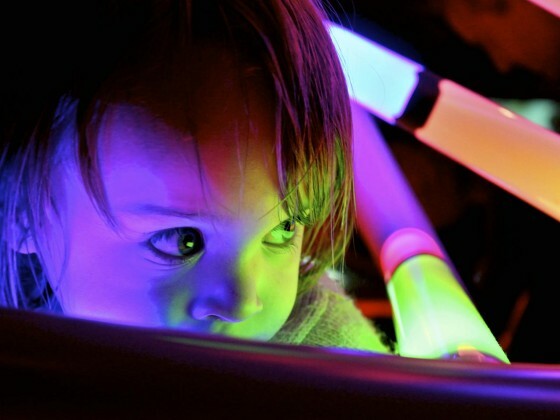 What kids can teach us about innovation? Kids don’t mind being curious, because they are not afraid of showing they do not know all the answers to everything yet. Kids like to experiment because they are not afraid of the outcome. And lastly kids love to create (draw, build, write, sing et cetera) because they are not afraid of how others may judge their work. We tend to play it safe in most situations. We tend to avoid risks. We avoid voicing ideas and opinions that may seem crazy to others. We delay shipment of a new product before it is tested and tested again by panels of experts. We are afraid of failure. First, figure out why your idea failed. Find out what went wrong and how things can be improved. Be persistent, experiment and try again using new approaches. The first Apple Macinctosh went through a LOT of failed tries before the final design was born. Every failure is an opportunity to advance yourself and improve your thinking. Seek for faults in your thinking pattern, their underlying assumptions. Ask yourself why a lot. Changing your thinking is difficult work: our own brains tend to like how they think. It may be useful to have someone you trust help you drill down your thinking patterns. Play-Doh would have never been a successful product if the mcVicker brothers hadn’t shared a failing product with others. Share what went wrong with a colleague, a business partner or a friend. Tell them what you are trying to achieve and what went wrong. Sharing a failure is not just a great way to bond it also provides others the opportunity to help you and chip in a few ideas of their own. It’s amazing how many times budding innovators keep things to themselves; trying to figure out the perfect solution to their problem all by themselves. 4. Try your failed idea on different problem. This really isn’t as crazy as it sounds. An idea that does not solve a certain problem may still be a great idea. It may be the solution to another problem. A classic example would be the Post-It note, invented – more or less by accident – by the 3M company. How do you deal with personal or professional failure? How does your company deal with failure? Do you have a culture of failure avoidance or a culture of learning, experimentation and innovation? As always, your feedback, questions or other input are much appreciated. Even your failure stories. Leave them in the comments below (or send me an e-mail). And remember; please steal or share anything you may have found interesting in this article. This entry was posted in business & strategy, creative thinking by Bastiaan van de Werk. Bookmark the permalink.